Implementing bedroom design trends can be expensive if you plan to change it every time a new fad comes along, but if you discover an appropriate style or design you like, at a budget you can afford, you can remain on trend without having to update your bedroom too often. 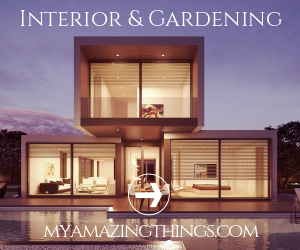 Alternatively, you can also take elements of current trends and incorporate them with cheaper accessories, or bedroom furniture and furnishings you already own to revamp your bedroom at minimal cost each time you want to embrace the latest styles. 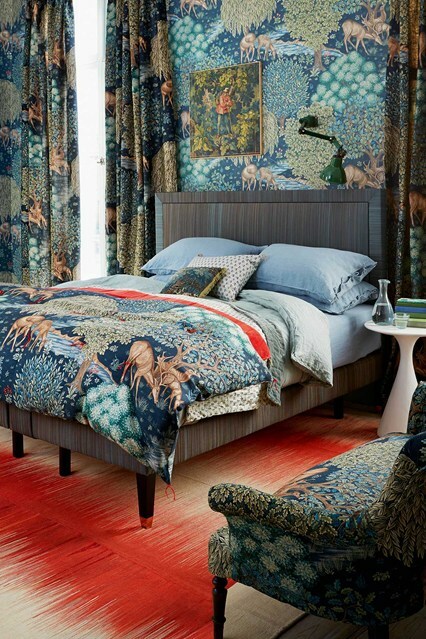 Take a look at some of our top styling tips for keeping on top of this year’s latest bedroom designs without going overboard on budget. Many of the trends taking 2017 by storm are dominated by the use of colours and do not tend to be subtle.. Creative chaos ensues across the sketch books of many bedroom designers with walls painted in a myriad of hues, and accessories blindingly fabulous in their attempts to contain every colour imaginable. If you aren’t quite ready to embrace the rainbow, opt for brightly coloured pictures and one or two bold statement pieces in contrasting colours to be part of this trend. On the other end of the spectrum, we are told that black is most definitely back, and homeowners are being encouraged to strip their bedrooms of colour in favour of deepest darkest black. This is not as frightening as it sounds, and there are some beautiful black pieces of bedroom furniture that will remain long after this trend has left the building. One way to stay on trend without resigning yourself to sleeping in a Gothic chamber is to invest in a black bed. Due to their neutral nature, black beds have in fact been a very popular choice with homeowners over many decades, and with the growing trend for all things black, they are set to become even more sought after. If you aren’t sure what material or style of black bed would suit your room, Bedstar has dedicated an entire page to black beds and also provide many different choices of materials including, metal, wood, leather, and even luxury chenille. …For some. It takes an extremely brave person to welcome this particular trend into their homes – brave, or meticulously tidy. If you have children, you may want to give this trend a wide berth, and this also goes for anyone who likes breakfast in bed. However, if you think you will be able to maintain a completely white bedroom, then you stand to reap the benefits. A white bedroom will be a relaxing haven, which will undoubtedly help you gain a great night’s sleep. 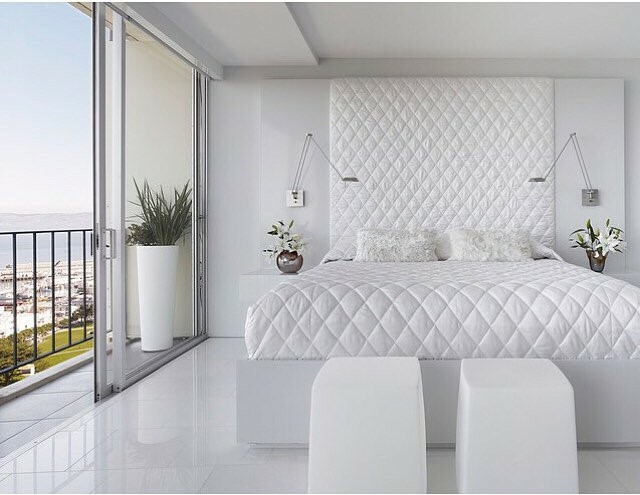 White ensures minimal visual distractions and emits a sense of calm, which is perfect for the boudoir. Whatever 2017 trend you choose, it is important to select designs that appeal to you personally, as unless you have unlimited funds to continuously redecorate your bedroom your chosen theme will remain for a long period of time.